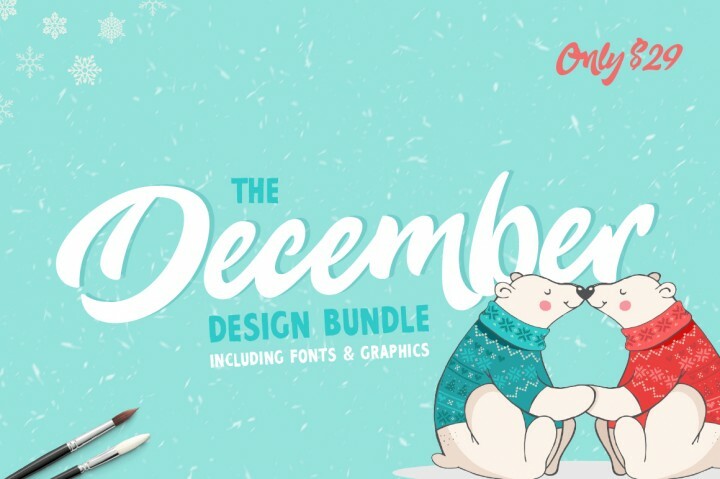 This months graphic design bundle from The Hungry JPEG is huge and varied. If you are into digital publishing you should definitely check this one out. This is a very useful set of design resources; go to the site and scroll through the list of included resources and see. The set includes over 70 font packages plus some stunning graphics collections. Yeah, over seventy publishing ready font packages! These are all professional quality design resources, that include commercial licensing and a lifetime download guarantee, for an incredible price. Limited time offer (this December only). Boost your resource library and expand your project capabilities.